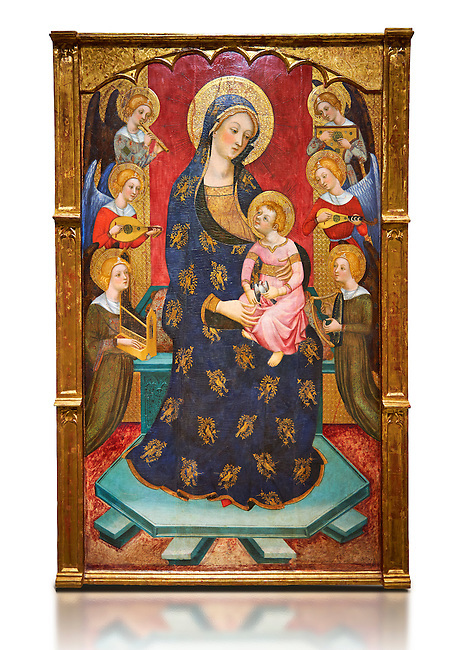 Gothic painted Panel Virgin of the Angels by Pere Serra. Tempera and gold leaf on wood. Circa 1385. 195.8 x 131 x 11 cm. Comes from Tortosa cathedral (Baix Ebre).